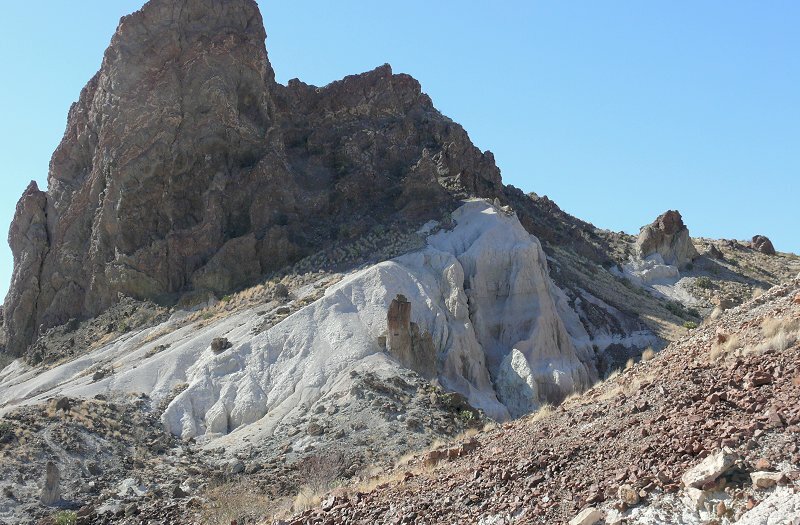 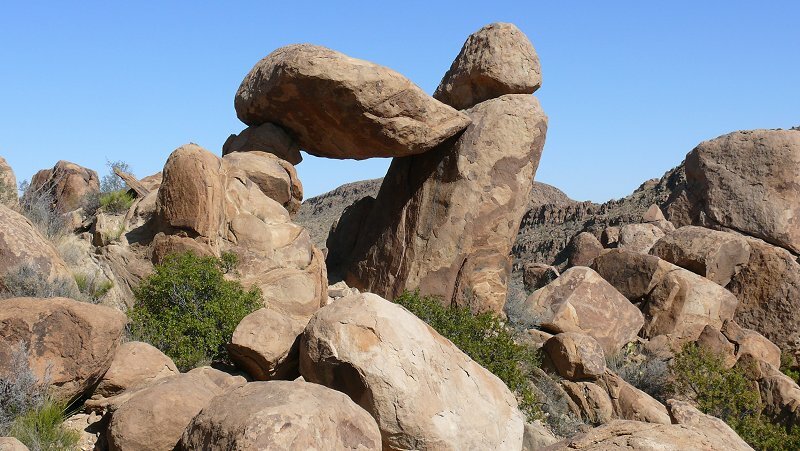 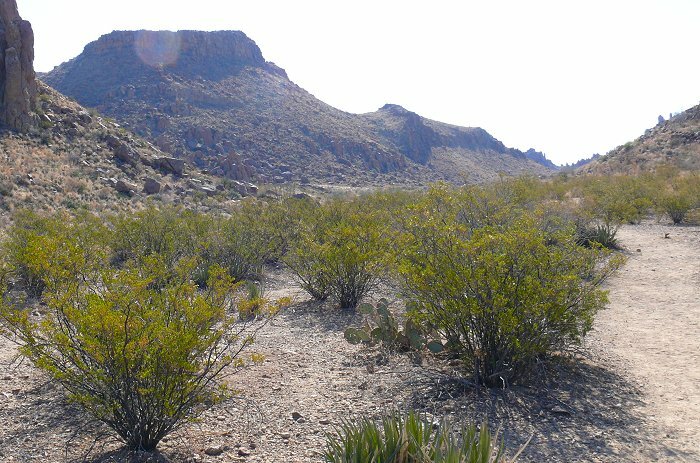 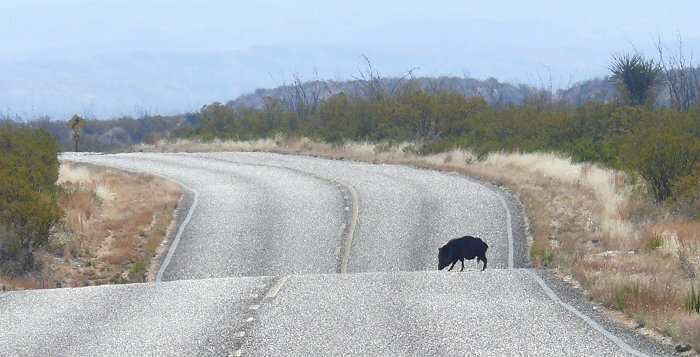 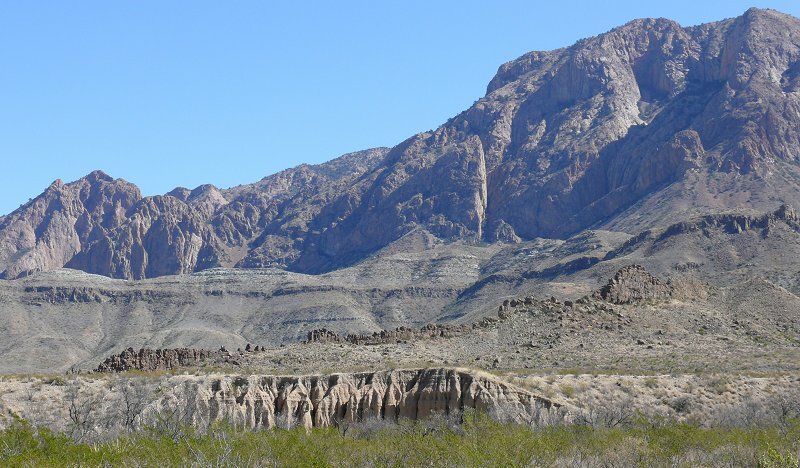 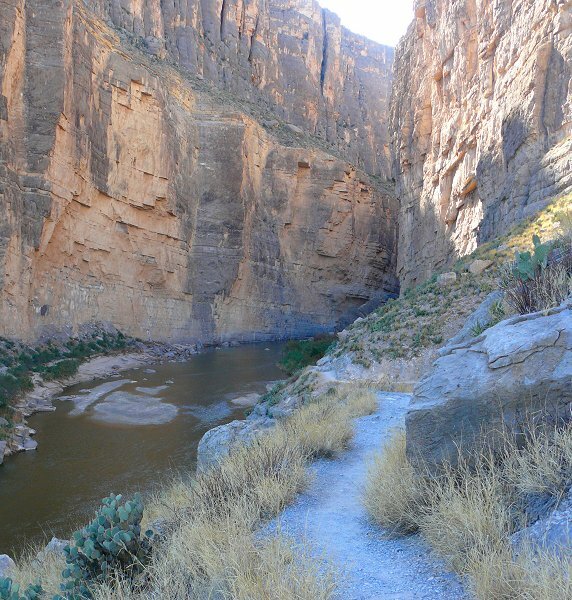 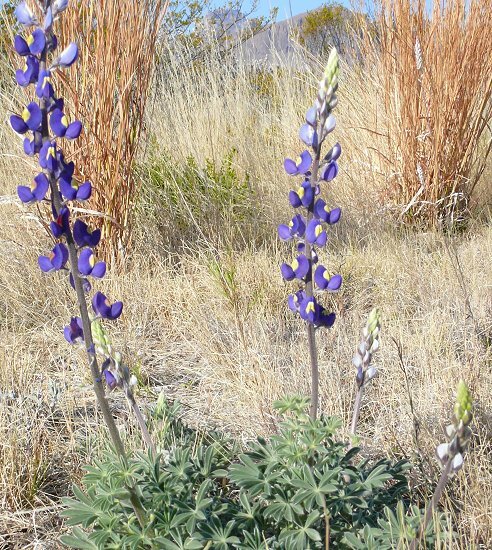 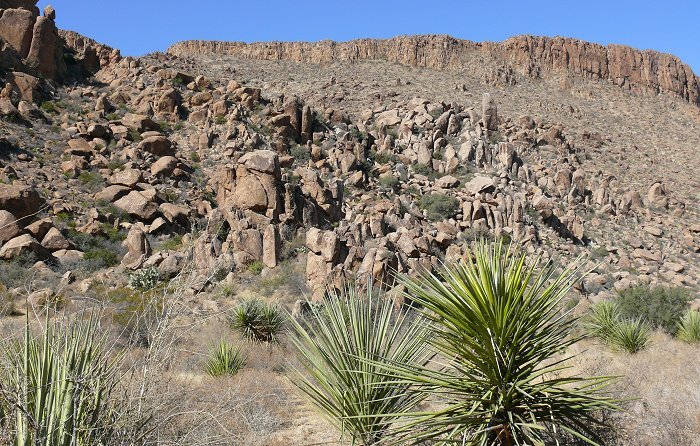 We spent one day driving from one end of Big Bend to the other, and taking a few short hikes. 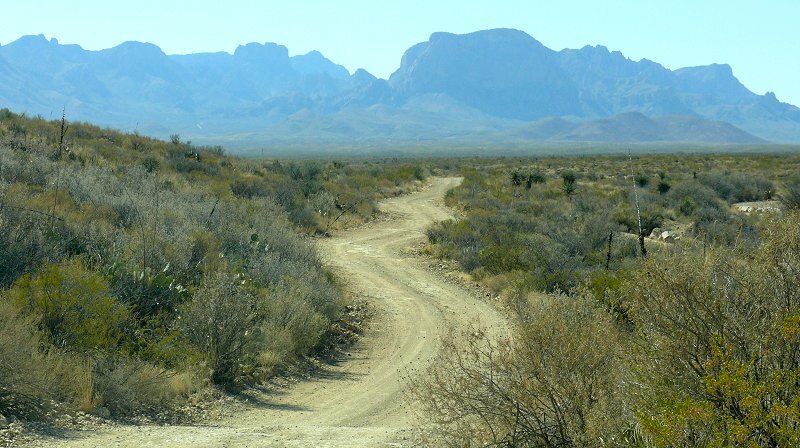 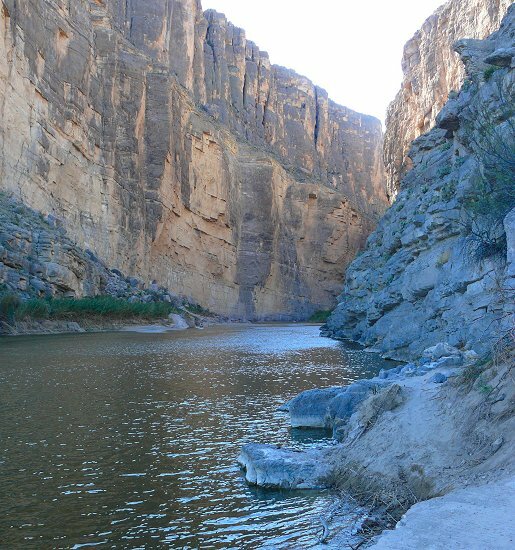 It’s such a huge park – to drive from our campground at the east end, to Santa Elena Canyon at the west end is about 65 miles. 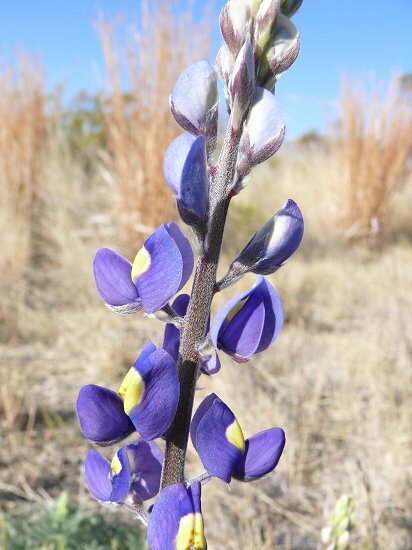 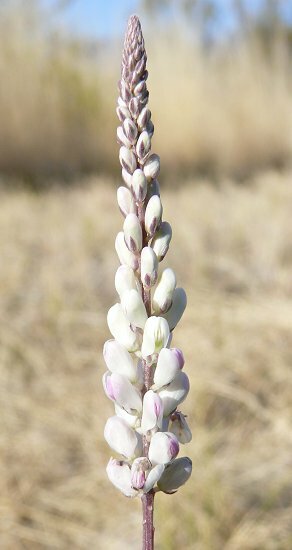 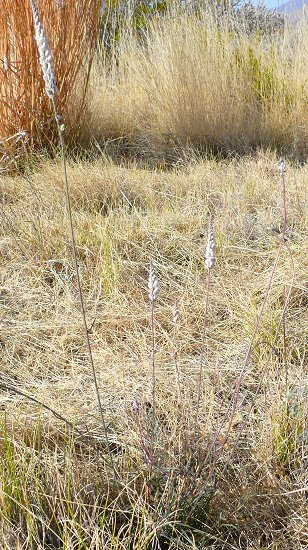 Even though it was the beginning of February, and still pretty cold, we saw a few flowers blooming along the roadside. 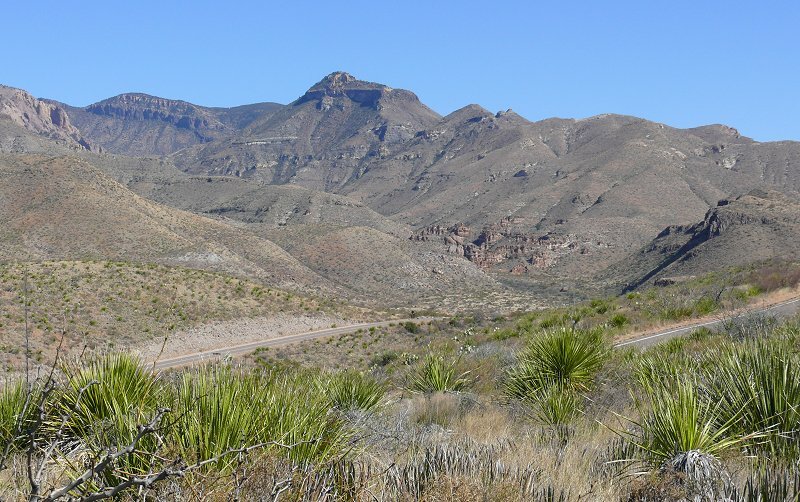 We drove along Grapevine Hills Road – a bumpy dirt road – we proved that driving fast feels smoother than driving slow on a washboarded road. 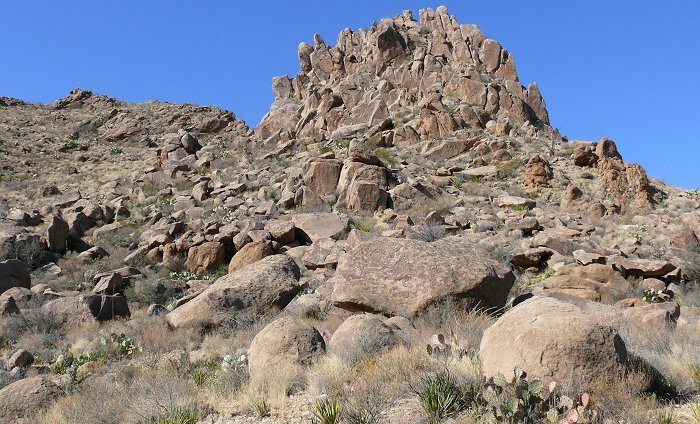 This was a hike through a valley full of boulders, where we saw a huge balanced rock. 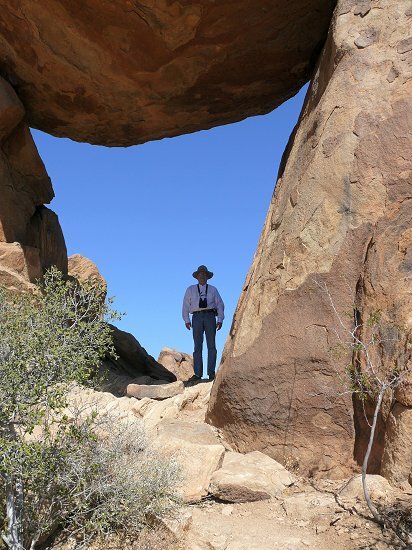 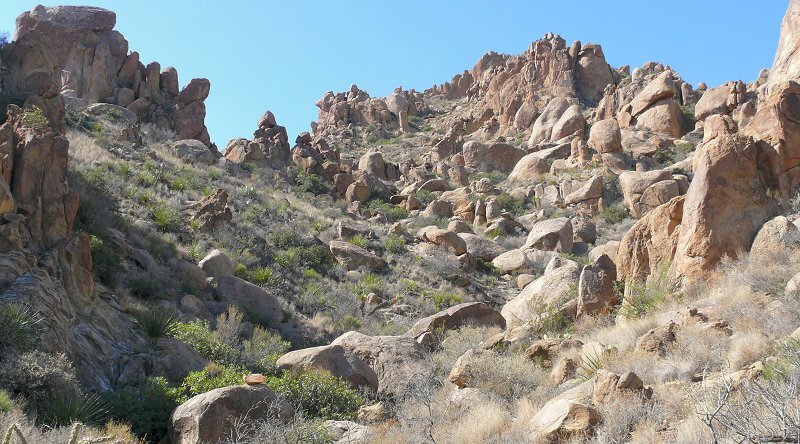 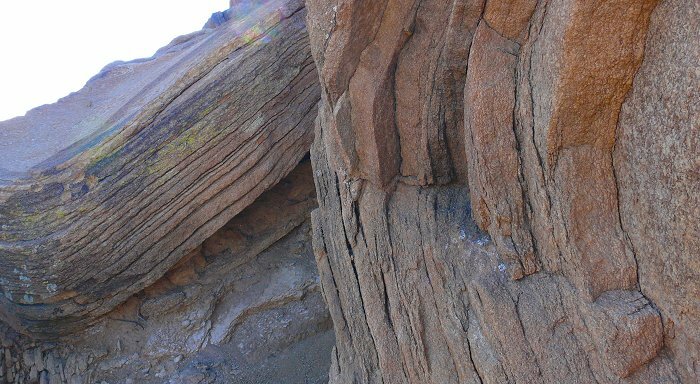 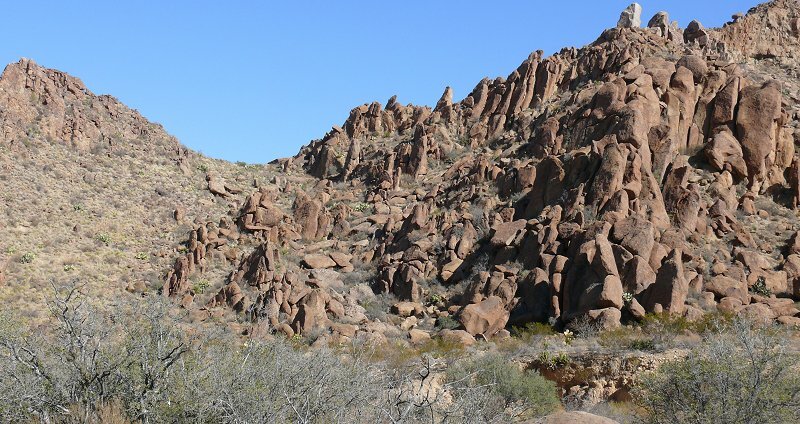 The trail has lots of rocks that Martha would appreciate – (Martha is our friend who loves rocks) – most of them are remnants of long ago volcanic activity. 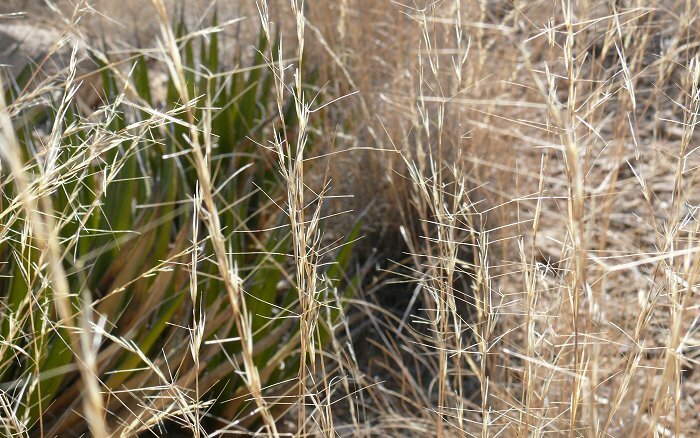 Threeawn Grass – Aristida sp. 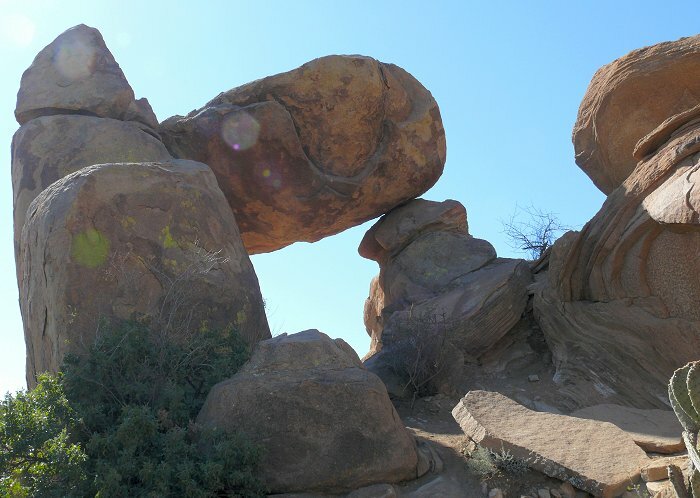 Here’s the first look at the balanced rock. 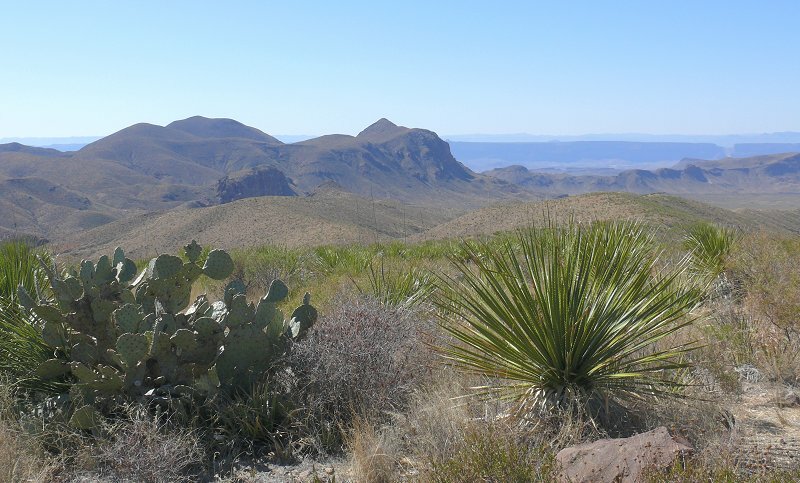 With some perspective – so you can see how big it is. 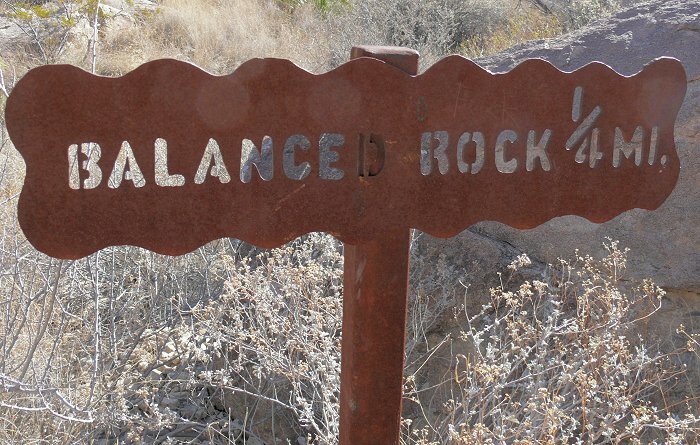 We liked the signs along the trail – they were made during the 1930s. 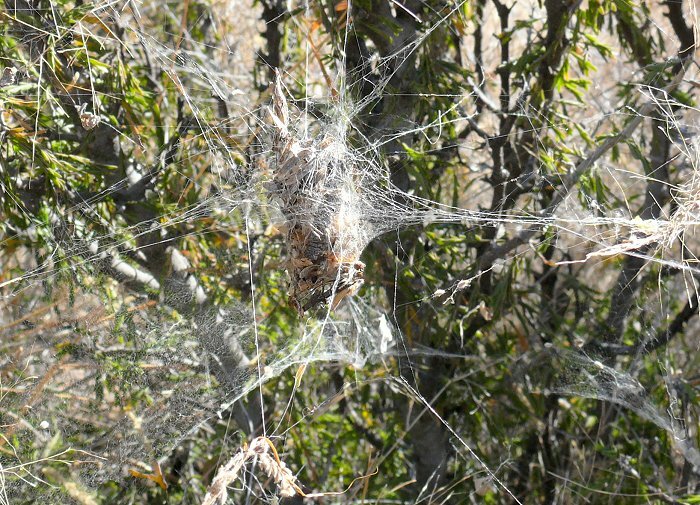 This is a spider’s web with an odd structure in the center. 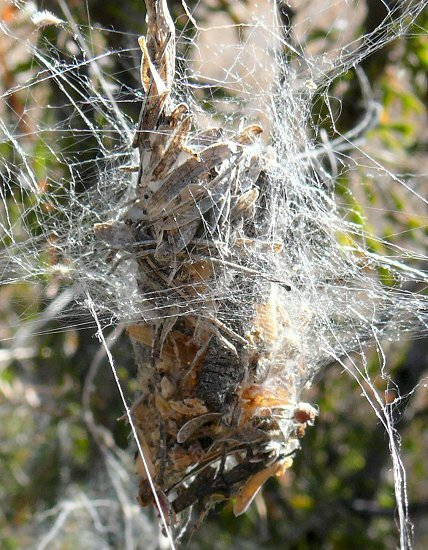 I think it’s made of pieces of plant and animal debris, possibly to lure in prey for the spider. 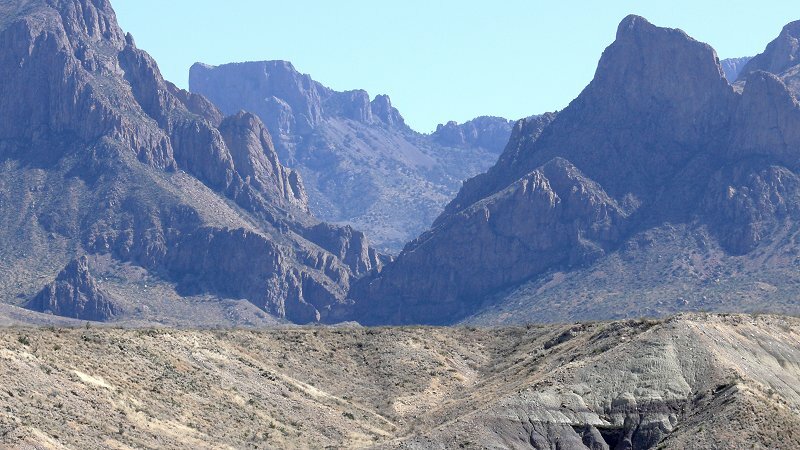 We continued on our driving tour and saw the view into the Chisos Mountain basin – it was fun to see it from the outside, looking in. 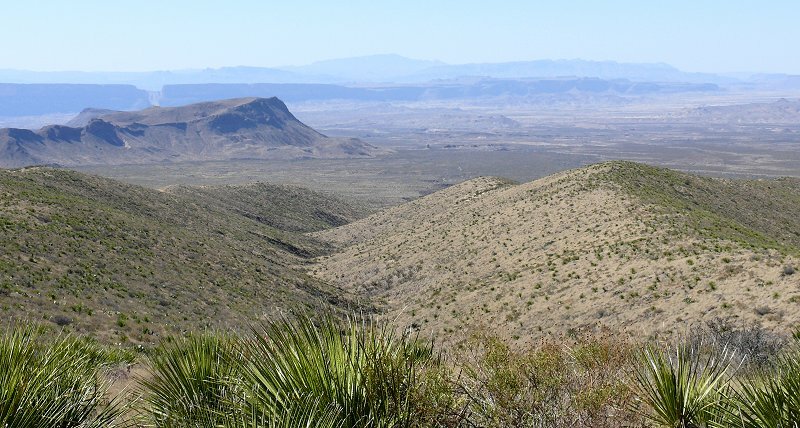 Then we came to the Sotol Overlook, with spectacular views of the surrounding country. 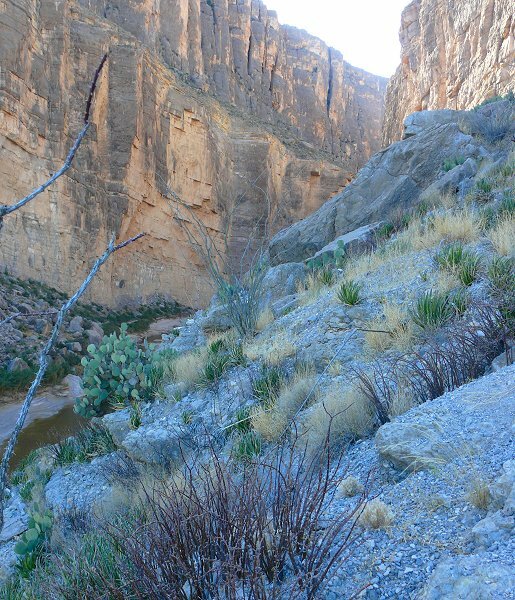 In these last two photos from the overlook, you can see Santa Elena Canyon, like a gash through the distant mountain. 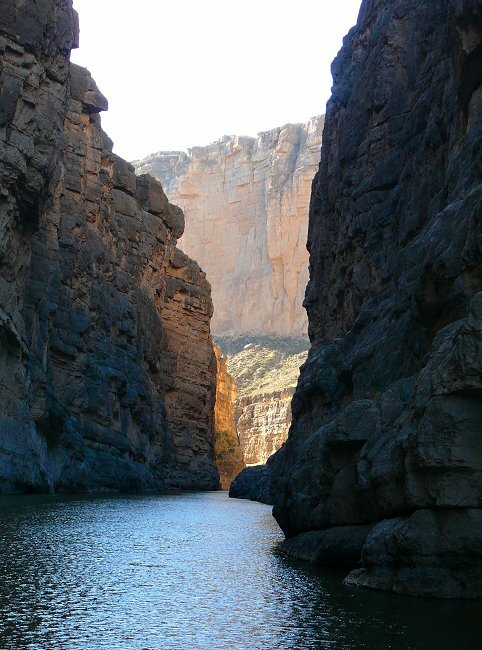 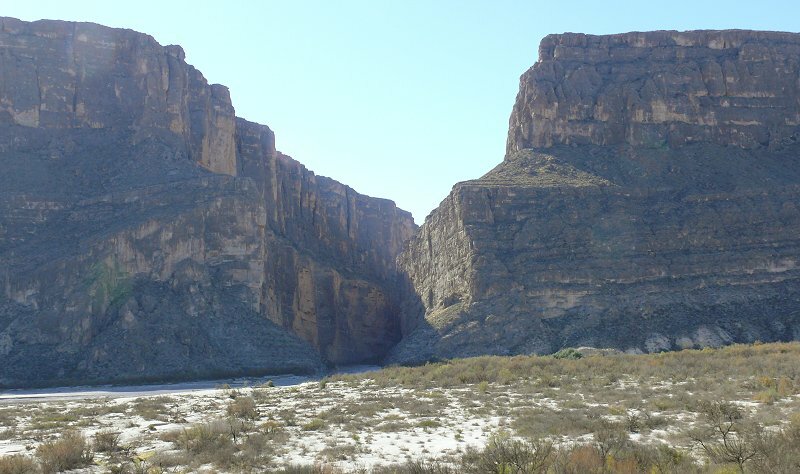 Santa Elena Canyon – a deep, narrow canyon, at the very end of the road. 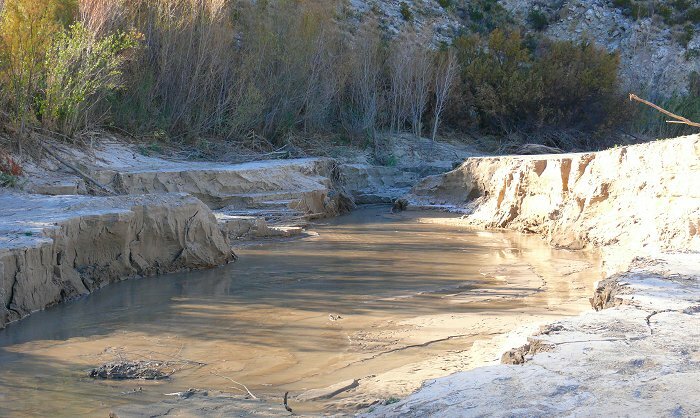 The mud along the creek is from the flood that came through in October of 2008. 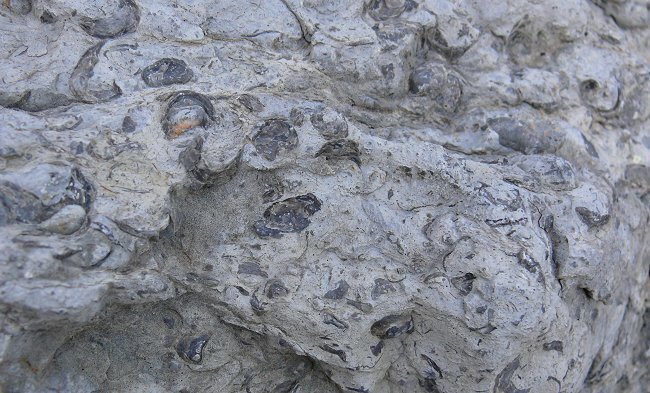 There are fossils in the rocks along the trail into the canyon. 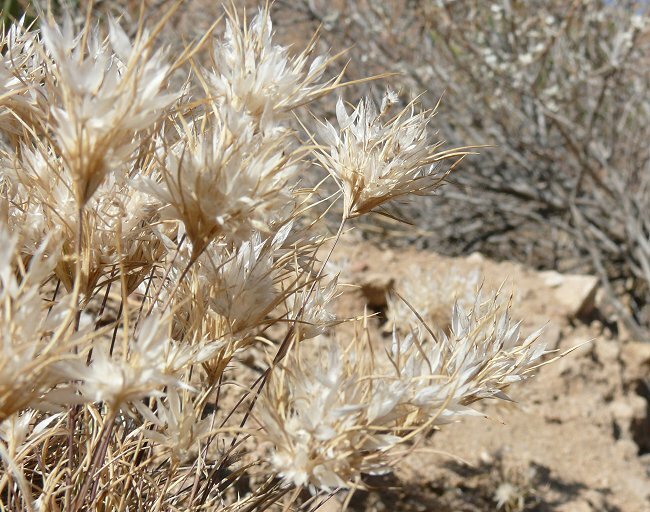 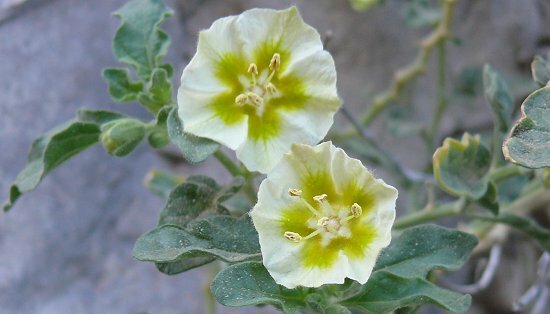 These flowers were growing in the canyon – I don’t know the species.